That Bussetti will be rubbing shoulders with ultraconservative activists and politicians from Italy, Hungary, Moldova, Russia, Uganda and Malawi at an event that purports to “the natural family as a fundamental unit of society” should not come as a surprise. Earlier this month, the media zoomed in on an educational project former Trump campaign strategist Steve Bannon set up in an old monastery in Italy. The so-called “modern gladiator school” will aim to give its students the necessary tools to defend “the Judeo-Christian West” and its values. The news came as a shock to many who did not expect this controversial alt-right extremist and his supporters to be investing in education. However, despite the demagoguery and anti-intellectualism that define some of far right’s contemporary reincarnations, its interest in founding elite education institutions to raise a highly skilled vanguard, as well as shaping mass education to influence large segments of the population, is nothing new. They have long argued that “the leftist indoctrination” propagated in universities across the continent has rendered necessary the establishment of education hubs which would follow an alternative right-wing curriculum to train a new, and different, intellectual and political elite. Neo-conservative institutions in the US, such as the Intercollegiate Studies Institute and the Young Americans for Freedom, have served as their main source of inspiration. With his new project, Bannon wants to establish an elitist school that would work towards cultivating the future thought leaders of the far-right movement. This idea seems to be, at least partially, inspired by Julius Evola, the Italian fascist philosopher who promoted the formation of a hierarchical society run by a spiritually superior caste – a small elite of “warriors”. Evola viewed progress and equality as poisonous illusions and rejected the liberal democratic order. His anti-democratic ideology remained popular in far-right circles for decades after his death and today, it is embraced by a diverse bunch of right-wingers – from Bannon to the Greek Golden Dawn, from the US alt-right to the Russian far right as well as other extremists opposing markets-led globalisation, liberalism and multiculturalism. While Bannon’s Evola-inspired vision of providing high-quality, traditionalist right-wing education to select few elites is undoubtedly supported by many ultraconservatives, others have concentrated their focuses on shaping mass education along their views. Education delivered through compulsory state-controlled schooling can indeed reach much more people than the small number of already sympathetic elites targeted by “gladiator academies” like Bannon’s, and could potentially be more influential in the long-term. Bussetti, the Italian education minister, for example, recently decided to exclude history from the exit exam for high schoolers, thus decreasing its importance in the curriculum. 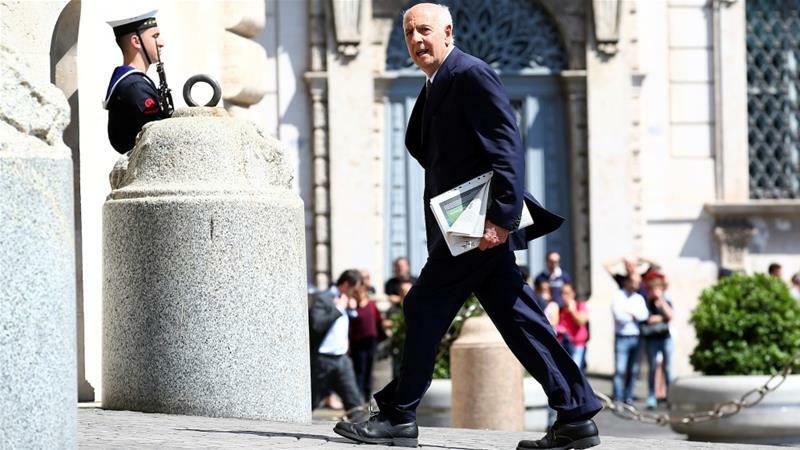 This move is part of the plan of the far-right League party, which is part of Italy’s governing coalition, to give more prominence to vocational subjects over humanities in high schools. The Italian far right has also pressed forward with its educational agenda at the regional level. In Udine, for example, the city council recently voted to ban all references to “other cultures” in the local kindergarten. Children are now supposed to only cuddle dolls, play instruments, and read books that are deemed culturally Italian. In Germany, the far-right Alternative for Germany (AfD) is seeking to rewrite the history syllabus. Its Saxony-Anhalt chapter, for instance, has called for history lessons to be redesigned so they promote among students “a fundamentally positive relationship to their country and a consolidated national identity”. The AfD chapter also claims there is a need for an “education policy that orients itself again towards the pure ideal of the German history of thought”. It supports the re-introduction of the “Heimatkunde” (knowledge about the homeland) – a subject that they believe would help German pupils connect with their roots and “gain orientation in a globalised world”. A few regional AfD organisations have also targeted teachers who, it asserts, use their lessons for “leftist indoctrination”. They have set up websites in which pupils can denounce left-leaning teachers, promising to send these cases “to the highest institutional level”. With AfD representatives strengthening their presence and power in parliaments and the Lander’s education boards, teachers’ associations have expressed their worries for retaliation. This is certainly the dream of the contemporary far right – which, when in power, tries to systematically undermine the progressive and cosmopolitan values of education. If Europe does not want to go back to the dark age of fascism, it should stand up to the far right and fight to preserve the values of liberalism, pluralism, and critical thinking in European education.